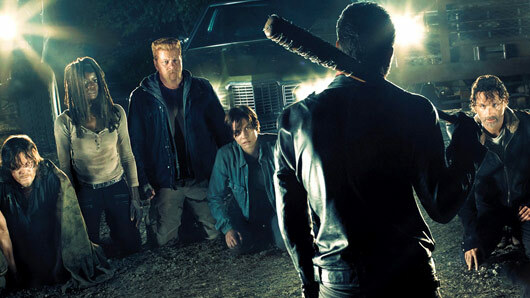 The Walking Dead executive producers Scott M. Gimple and Gale Anne Hurd have teased that new series baddie Negan is “capable of killing anyone” you love. Speaking in a new promo for the upcoming seventh season of the show, which hits UK screens on October 24, Gimple and Hurd discussed Rick Grimes’ arrogance and naivety in his interactions with Negan so far in the series. That arrogance, they suggest, will cost Rick’s group dearly and change the world as they know it – just when things were starting to look up. The Walking Dead returns to FOX UK on October 24 at 9pm.